I love party decorations that can easily be changed to fit any party theme. They are even better when they are made out of paper because it is inexpensive and I happen to have a lifetime supply on hand. Okay maybe not that much, but a lot! 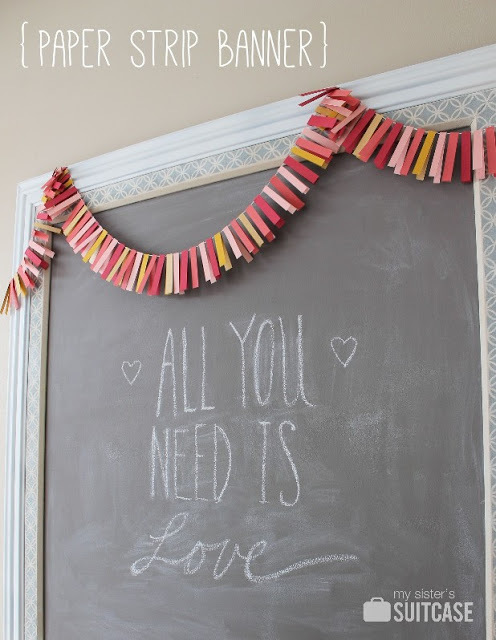 This paper strip garland fits all of those requirements and is beyond cute too. The perfect DIY party decoration.